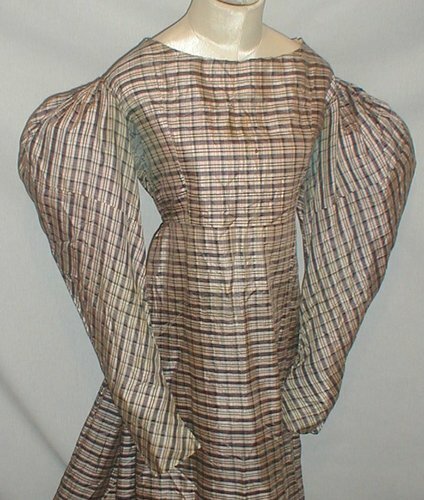 A rare 1825-1829 Regency period navy blue and white silk plaid dress. The bodice has fully gathered sleeves and the empire waist is a bit lower then the dresses of the earlier 19th century. 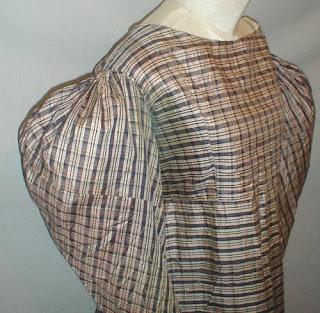 The sleeves are an precursor to the larger Gigot sleeves of the 1830’s. 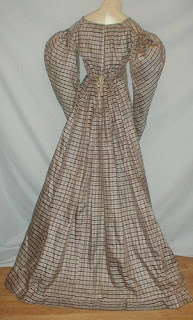 The armscyes are piped and the bodice is lined with cotton. The skirt is unlined. The bodice has a back drawstring closure at the neck and waist. 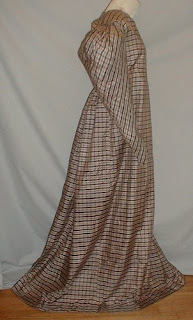 The dress is in good and sturdy condition. 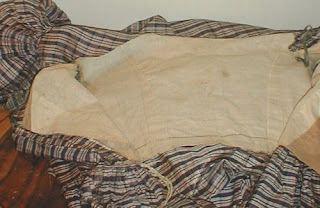 There are a few scattered small holes, a ½ inch split and a 2 inch repair of the edge of the hemline. There is underarm discoloration where the navy blue has run into the white. 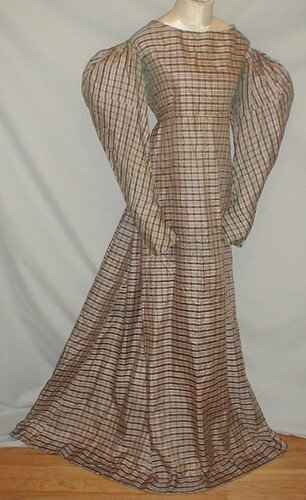 A wonderful display dress and very collectible. Bust 30 Waist 26 Sleeve length 26 Length from shoulder to hem 56. This is a really pretty dress. Great piece work on the sleeves.